Update: Learn with us how to configure FlexGet and how to use FlexGet Daemon mode after you're done with this installation tutorial, to get the most out of this application. Before we start with the installation process, make sure you can type commands on your home server. If your server has USB or wireless connectivity you could use a wireless HTPC keyboard -or even a wired one- to install FlexGet on Windows. Otherwise you could try to connect remotely to your server, through another computer that has a keyboard enabled. To do this, you could try to use an app such as Parallels Access, which enables you to control your home server from another location. What are the steps to install FlexGet on Windows? 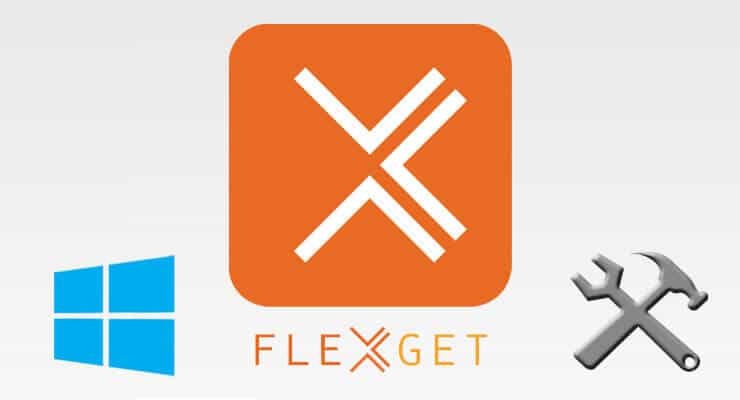 If you're wondering how to install FlexGet on your Windows home server, then you have come to the right place. Though FlexGet configuration is performed with a different procedure, it can be done with a pre-made configuration file, so that process is easier than the install itself. We will focus on getting FlexGet up and running on your system. First, verify whether Python 2.7.x and pip are already installed on your Windows 10 home server. If they are, you can install FlexGet on Windows right away. If not, it's time to set up your environment. 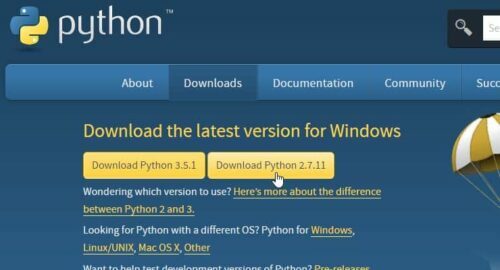 Download Python from the official Python download page. 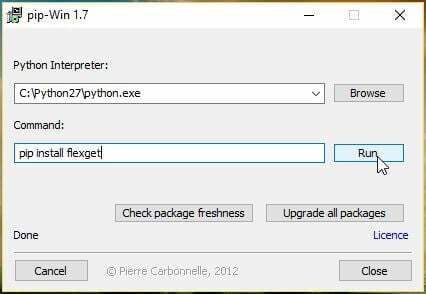 Make sure you select the 2.7.x version, as FlexGet isn't yet compatible with Python 3.x. 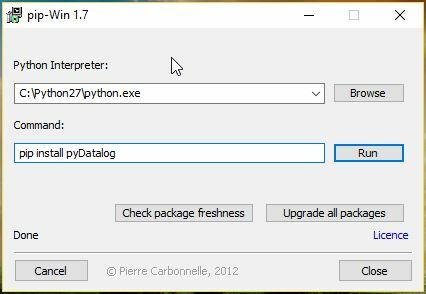 Make sure you select the 2.7.x version as indicated in the image when you download the Python installer. Once you download the Windows installer, install Python as you would normally any other application, using the default options provided by the installer. Once you install pip you will see this window. You can upgrade your packages from here or run a specific one. Press the Upgrade all packages button, in order to upgrade packages on your install. You may see some error messages. Ignore them. You are now ready to install FlexGet. Simply type pip install flexget on the window previously shown, in order to install FlexGet on Windows. The install will perform automatically once you hit the Run button. After you hit that button, wait for the automatic process to end. Type the provided command on the command field. Press the Run button, and wait a few seconds. Congratulations! You have successfully installed FlexGet on your Windows media server. You still need to configure it properly for it to have any use for you. In the meantime, think about what you will do with all those movies and TV shows you will download. Perhaps host them on your home server for you to stream anywhere? Take a look at this Plex vs Emby comparison to know which app suits you best to configure your media server. You could also be trying to decide between Kodi or Plex to manage your media, so read our comparison and decide for yourself. Stay tuned for our tutorials on how to configure FlexGet and get the most out of of this small, yet useful, server downloader application.